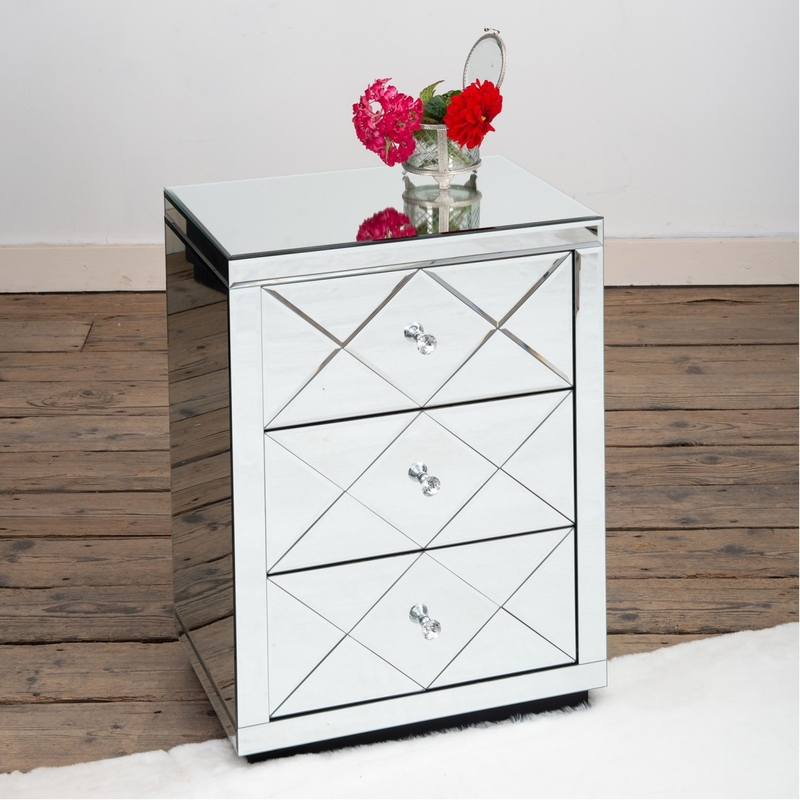 This exceptional mirrored bedside table is a fantastic addition to our overextending range of mirrored furniture. A solid and beautiful design with a gorgeous 3 drawer diamond design on the front. Brightening up your bedroom , this bedside table is sure to have your whole room looking better instantly.